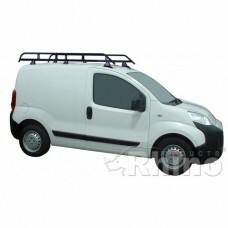 All the Citroen Nemo roof racks and roof bars come complete with all required fixings and instructions allowing it to be fitted directly to the van manufacturers fixing points with ease. 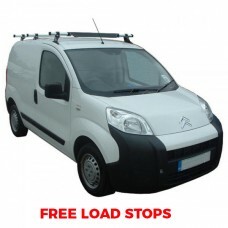 We have two racks available of the Citroen Nemo Van the first is the Rhino Modular Roof Rack the R588 and the Aluminium Roof Rack A588 both of which are ideal for carrying 8 x 4 sheets. Both roof racks come with detailed fitting instructions which can be found here for the Modular R588 and here for the Aluminium A588 Take a look at the fitting instructions just to see how easy these racks are to fit. 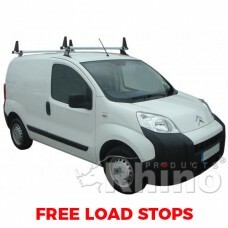 The Rhino Delta Roof Bars for the Citroen Nemo come as either a 2 roof bar WB2D-B32 configuration or a 3 roof bar system WB3D-B33K and both can be complimented with the Delta Bar Rear Roller making loading and heavy lifting onto the van roof much easier. 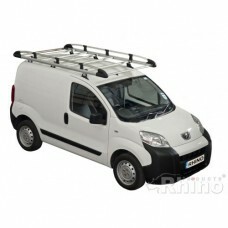 The 2 x Rhino Delta Roof Bars - Nemo SWB Twin Doors combing heavy duty strength, durability, good lo.. The 3 x Rhino Delta Roof Bars - Nemo SWB Twin Doors combing heavy duty strength, durability, good lo..
Rhino Modular Roof Rack - Nemo SWB Twin Doors - Polyester Coated Steel Roof Rack The most ..
Rhino Aluminium Roof Rack - Nemo SWB Twin Doors The very latest in Commercial Vehicle Roof Rack Te..